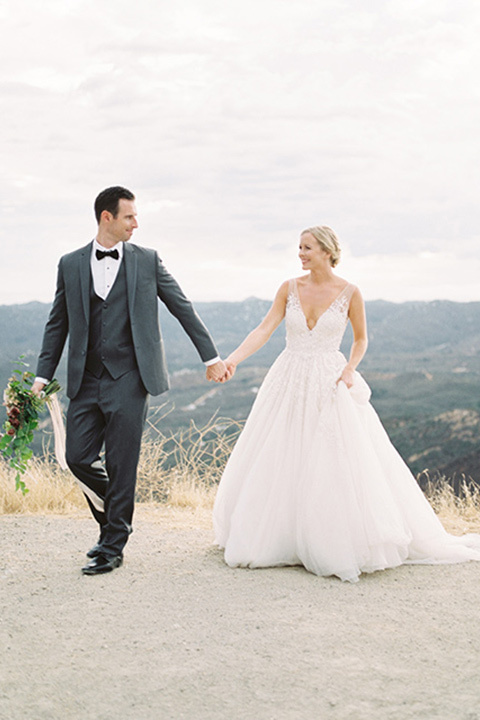 We are absolutely loving this elegant-with-a-flair-of-romance style we've seen so far in 2018 and no one captures beautiful, feminine bridal looks than one of our favorites, California based Savan Photography! 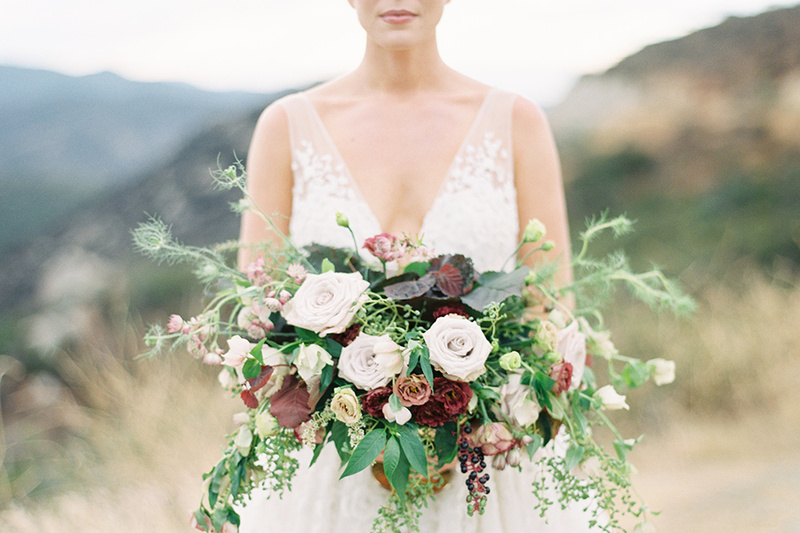 Beautiful mauve tone florals and a chic up do equals the quintessential spring look that feels so dreamy. 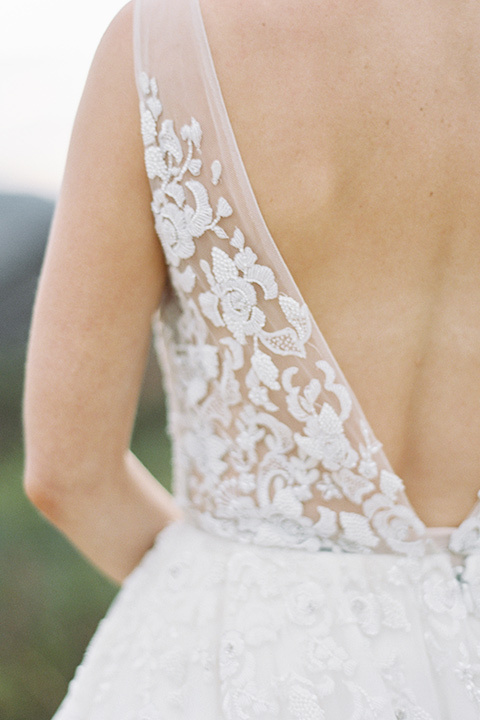 This Enaura Bridal gown has all of the elements we love too - a bit of sheer, teeny floral appliqué, and a low back. 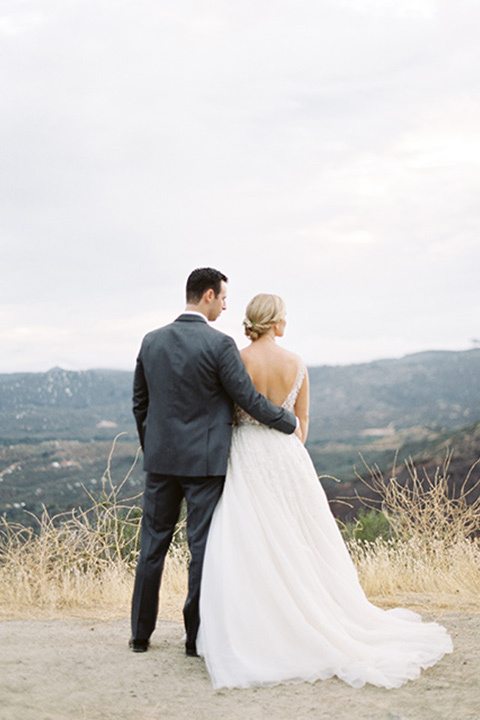 From Savan Photography: "Our vision was to have a breathtaking mountaintop shoot overlooking the valley below, lucky for us we lived in the great state of California where the beach, mountains, and desert are within driving distance. 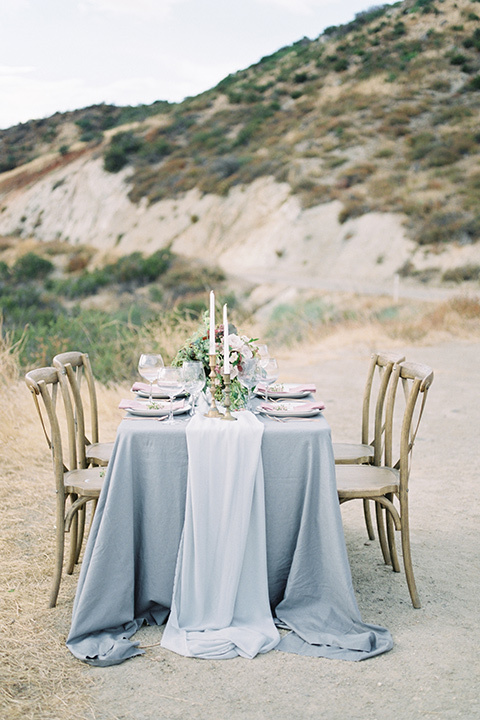 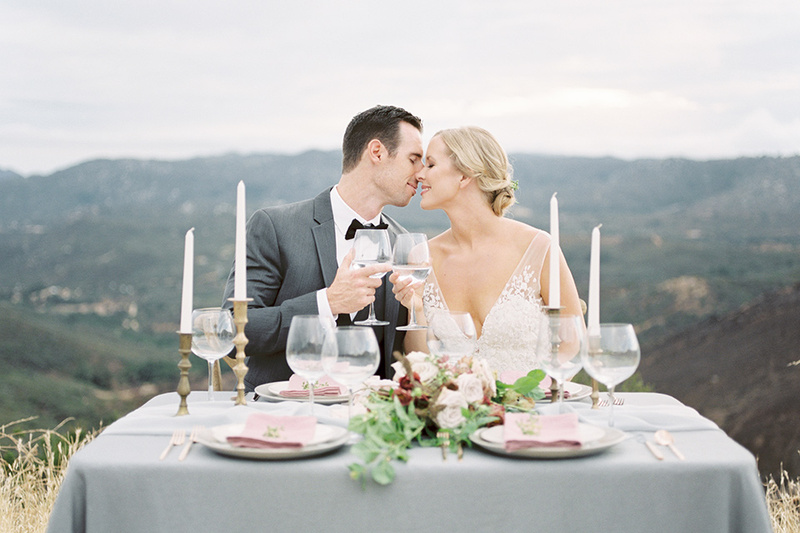 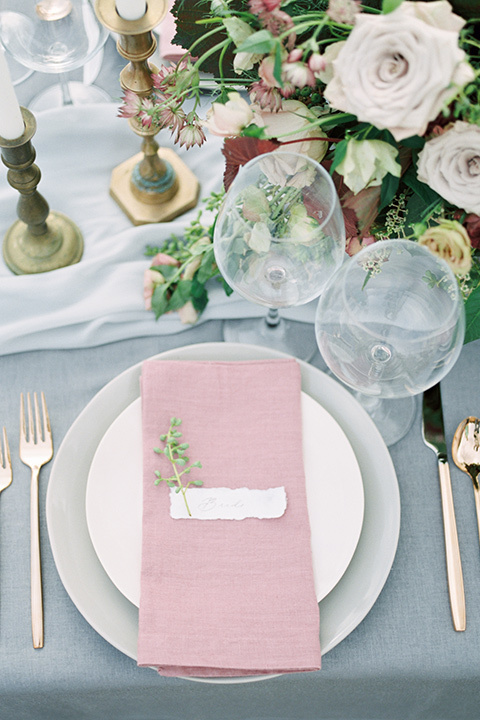 We wanted to pull colors that reflected not only the pretty open light but also the blues and gray hues of the mountain peaks and the pink linens napkins that complimented the light shades of the pink clouds rolling in and out throughout the shoot as well. 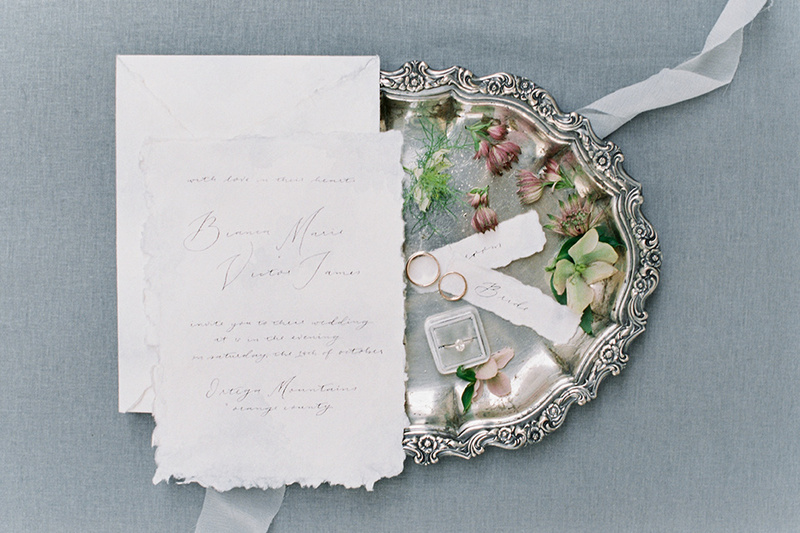 Wild sage florals chose rich colors but kept the palette clean and classic that would work well throughtout any season. 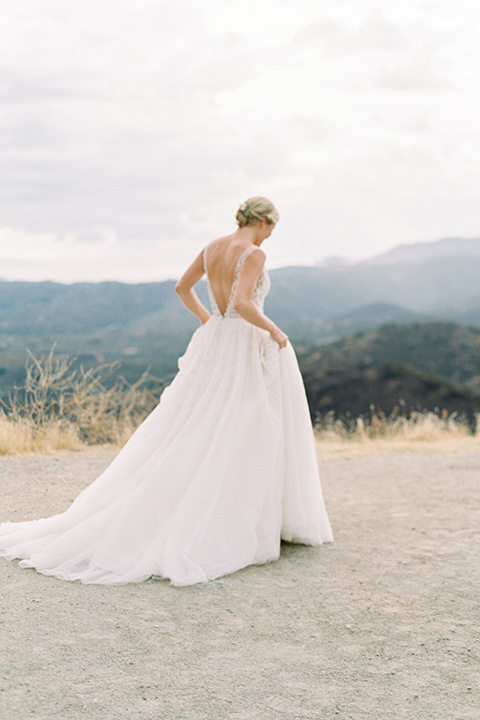 Lastly, we needed a gown that would not only revel but trumped the epic views and surrounding mountains. 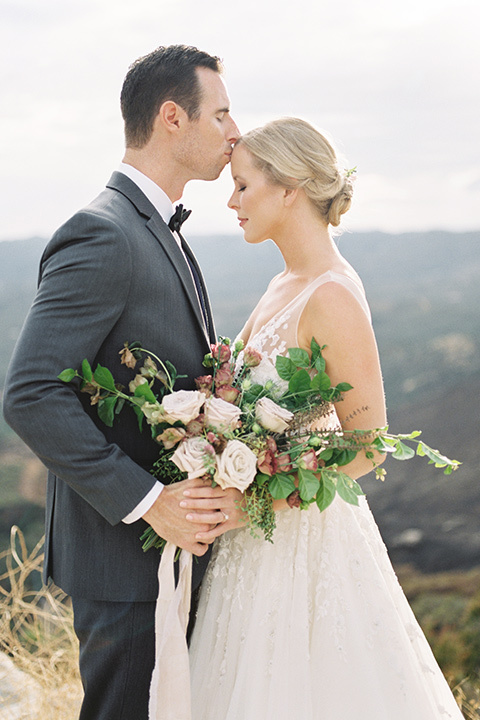 We found that perfection in this handmade, hand beaded ball gown from Enaura Bridal. 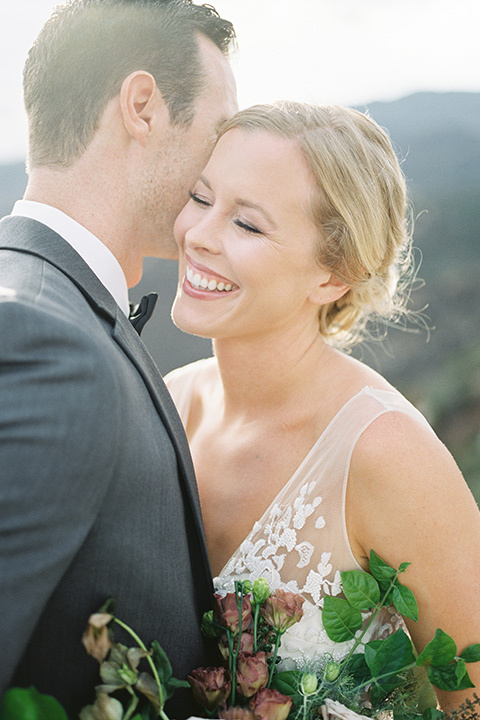 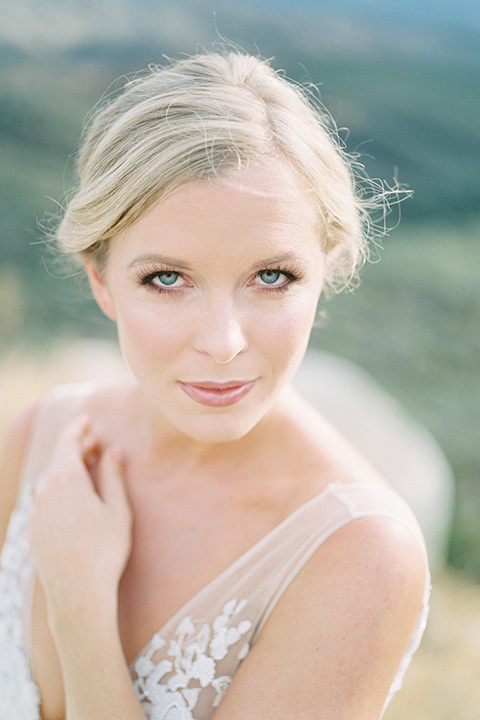 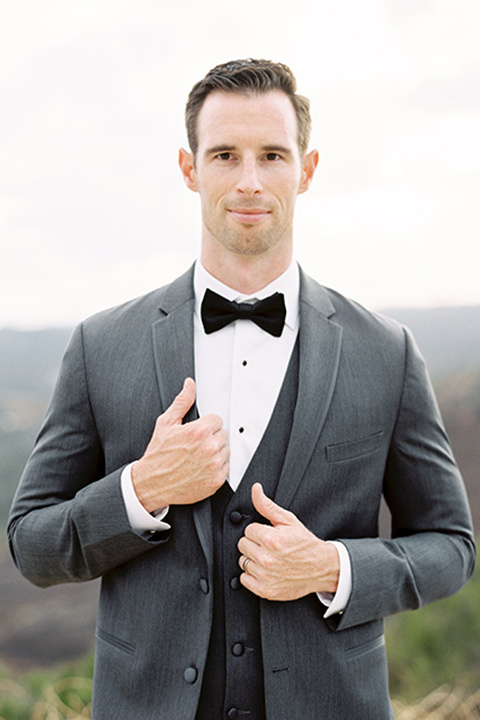 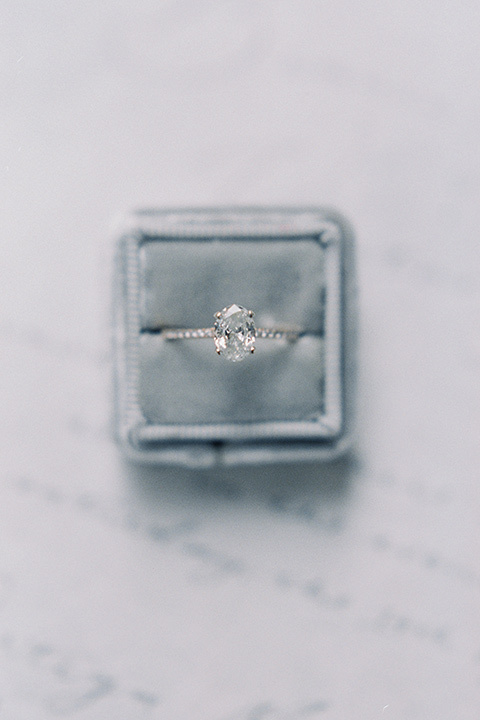 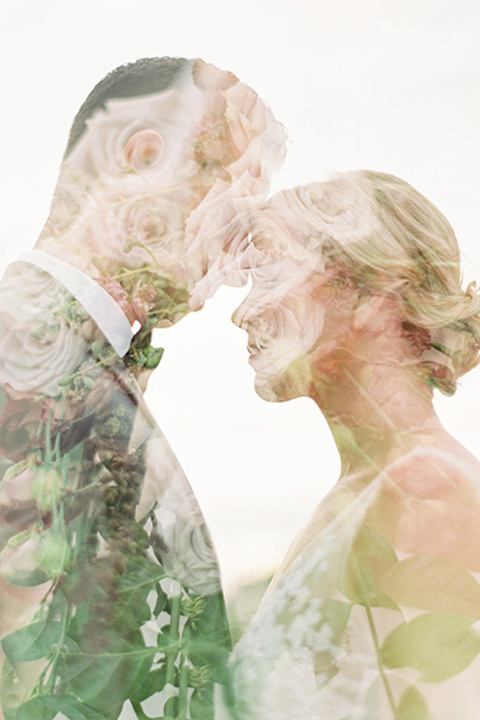 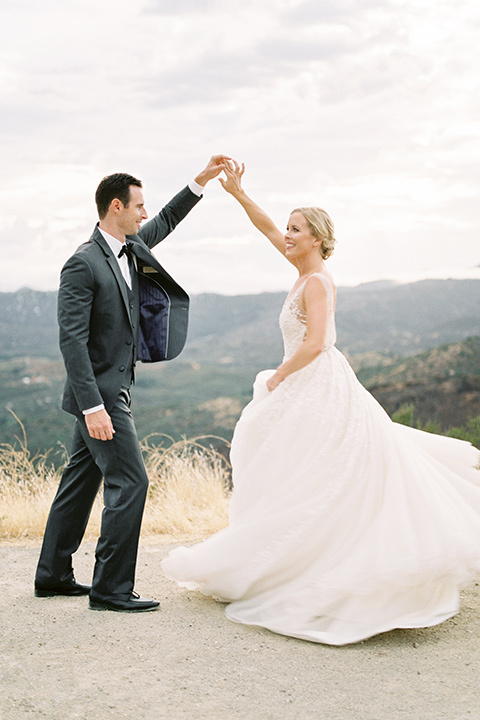 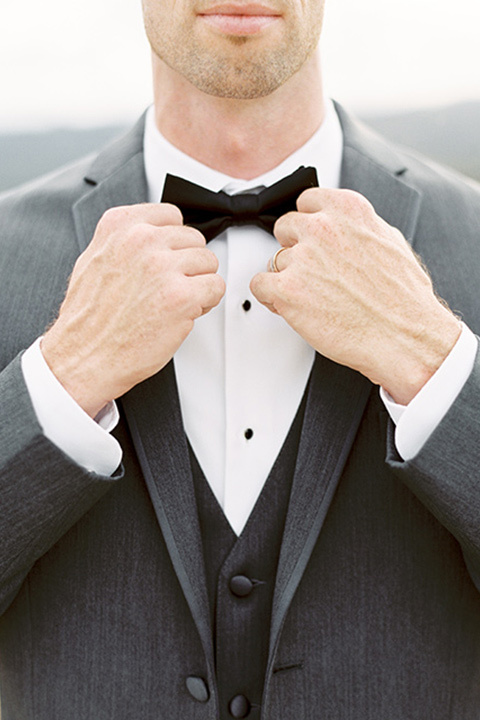 That gown and shoot was nothing short of dreamy and magical."